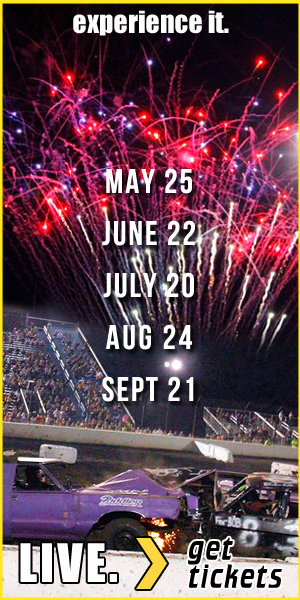 The Dirt Oval is located on the property of Route 66 Raceway and adjacent to Chicagoland Speedway. Primary highways in the vicinity are I-80, I-55 and I-355. 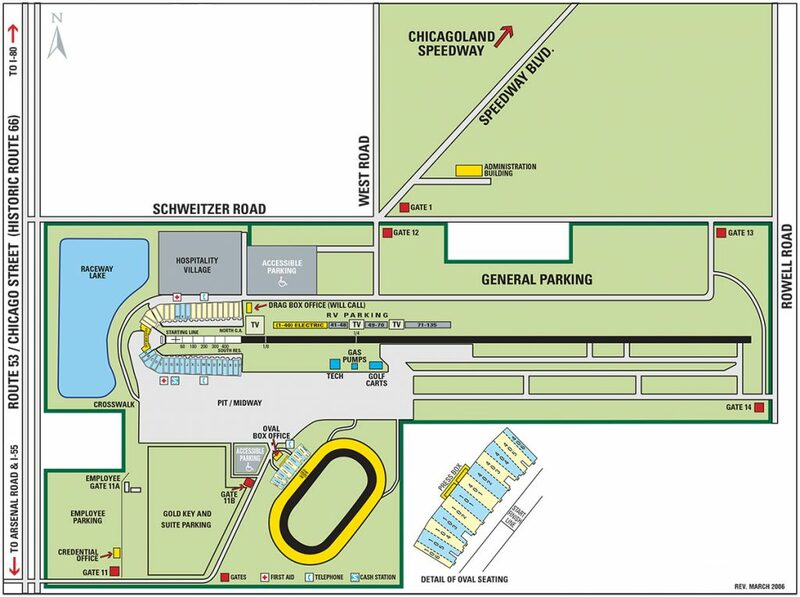 The General Admission parking entrance is Gate 13 which is accessible from Schweitzer Road. Route 53 intersects with Schweitzer on the West end, and intersects with Route 52 on the East end. The most congested area is the Route 53 and Schweitzer Rd intersection which can generate miles-long backup with vehicles waiting to enter the general admission gate. Plan your route accordingly & allow an extra 10 - 20 minutes of travel time, just for this stretch alone, up to 90 minutes prior to the posted event start time. Northeast - From I-80 West, exit at US 30 in Joliet, then turn left onto Westbound US 30. Turn left at the next light for Southbound Gouger Rd to Laraway Rd. Turn right onto westbound Laraway Rd then left onto southbound Route 52/Briggs Street. Continue to Schweitzer Road and turn right. I-355 South terminates at I-80. Take I-80 West, then use the US 30 exit as described above, or continue to Route 53/Chicago St. South (exit 132A). Northwest - From I-80 East, use Route 53/Chicago St. South (exit 132A) in Joliet. From I-55 South, stay on I-55 until I-80 East (exit 250A), then continue approximately 6 miles to Exit 132A. Schweitzer Road is 3 miles ahead on left side. Southeast - From northbound I-57 (Exit 335) or US 45, take westbound Manhattan-Monee Road to intersection with Route 52. Turn right to head North, then turn left on Schweitzer. Southwest - From northbound I-55, exit on Arsenal Rd (exit 245) then travel East towards route 53. Turn left to head North on Route 53, then right onto Schweitzer.